This is our second visit to Hawker’s Delight. 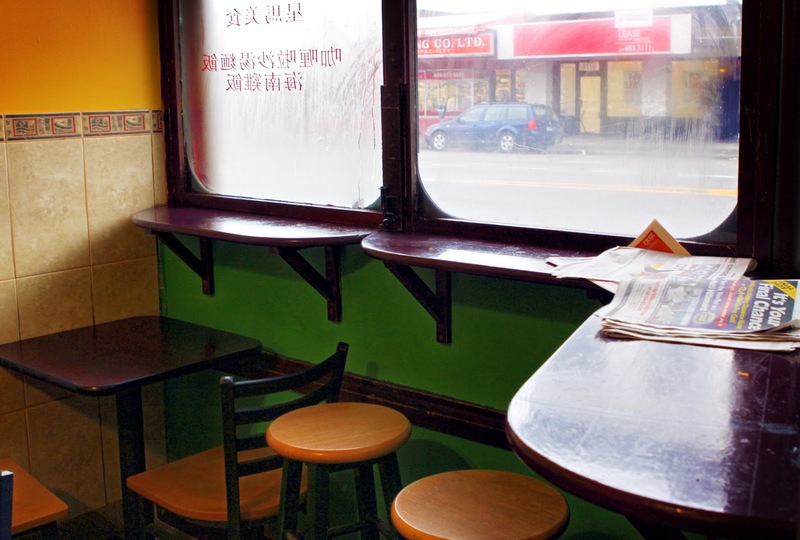 We first learned of this “hole in a wall” restaurant from Ying’s trolling of various food blog. kekeke Plus, Ying recently moved into this area and we’ve been exploring different food option nearby. Since I was poor that day (wallet was kinda empty), we decided why not? 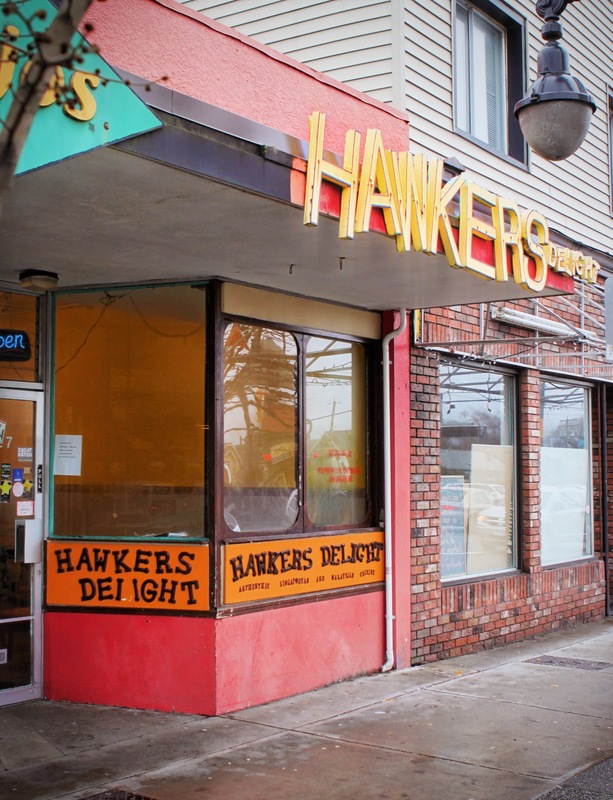 Hawker’s Delight, as its name suggests, isn’t aiming to be a fine dining eatery. 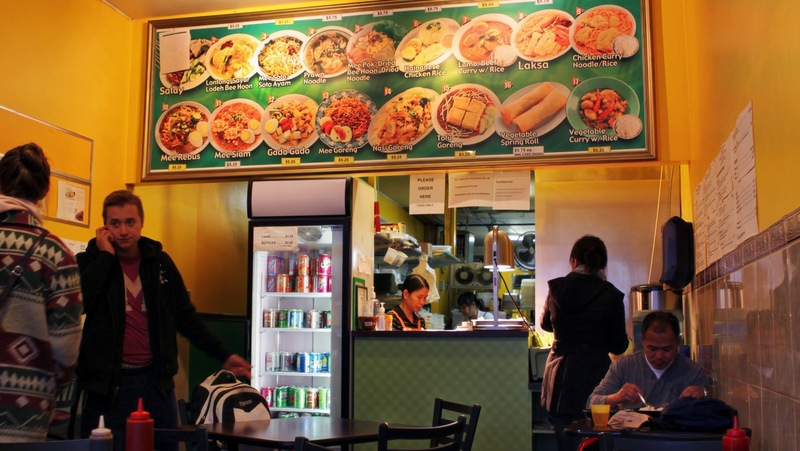 In fact, with the chef loudly banging on the wok while preparing your food, it reminds me of side street food vendors in Hong Kong. The inside is small but cozy and can probably seat about 20 people. 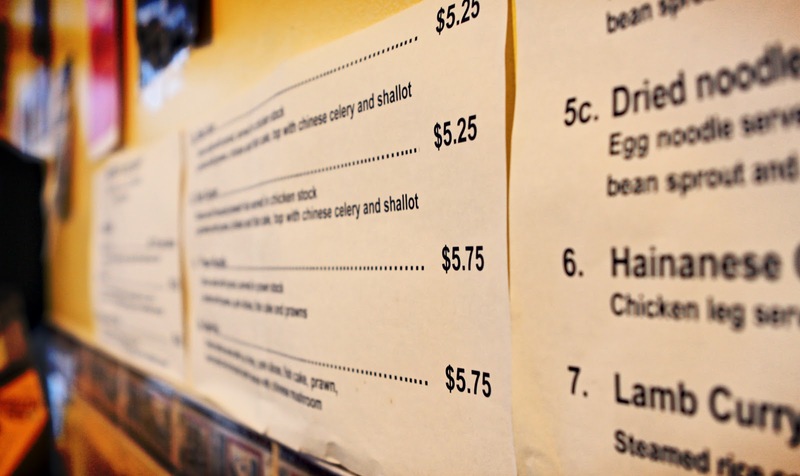 It seems like most people go there for take out. During the half an hour we were there, quite a bit of people came in and out. 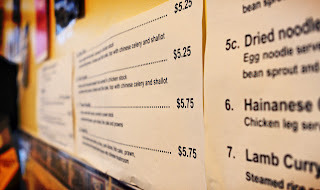 The decoration on the walls is the menu. You can also peek inside the kitchen and see the chef guy tossing food in the wok on top of a huge fire. Nothing fancy. 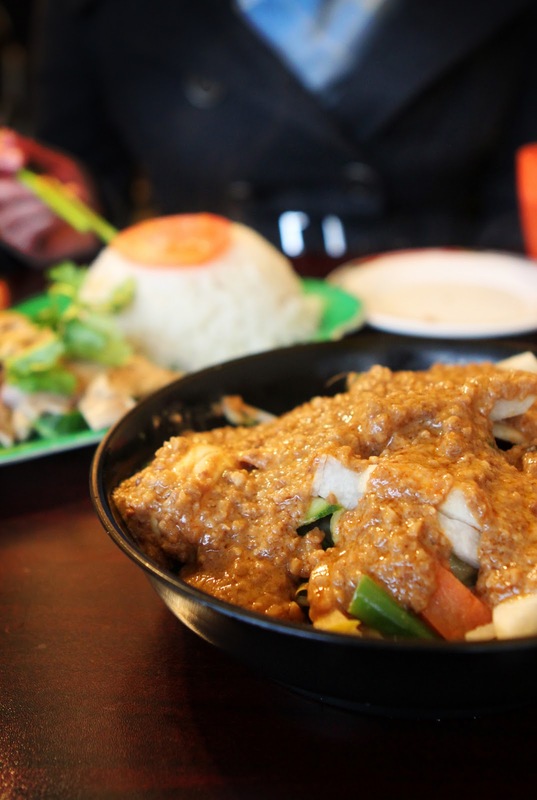 They specialize in Singaporean and Malaysian cuisine. They claim the food is authentic but what do I know? The folks in the kitchen speak Cantonese though. The best part about this place is the price!!! :D Almost everything is under $6 (with the exception of lamb/ beef curry- $9). 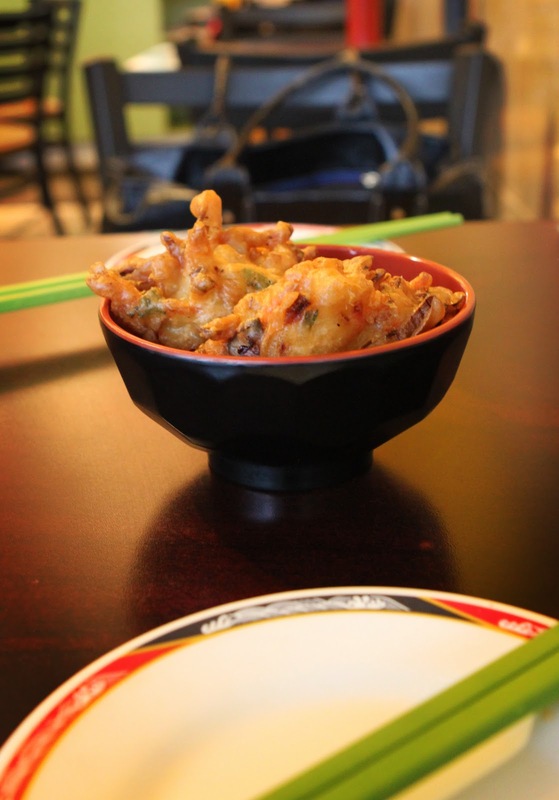 They mainly serve rice and noodle dishes with extensive vegetarian options. Once you order, they prepare your food. They give you a number, much like a food court stand. Everything is self-serve. Chopstick, bowl, tea, napkins are all on the side. Now, let’s talk about the food! For appetizer, we had the vege fritter. These darn things are so tasty I can eat them all day long. They are inexpensive (2 for $1.12) and quite filling. The outside is crunchy and the inside is soft and tender. 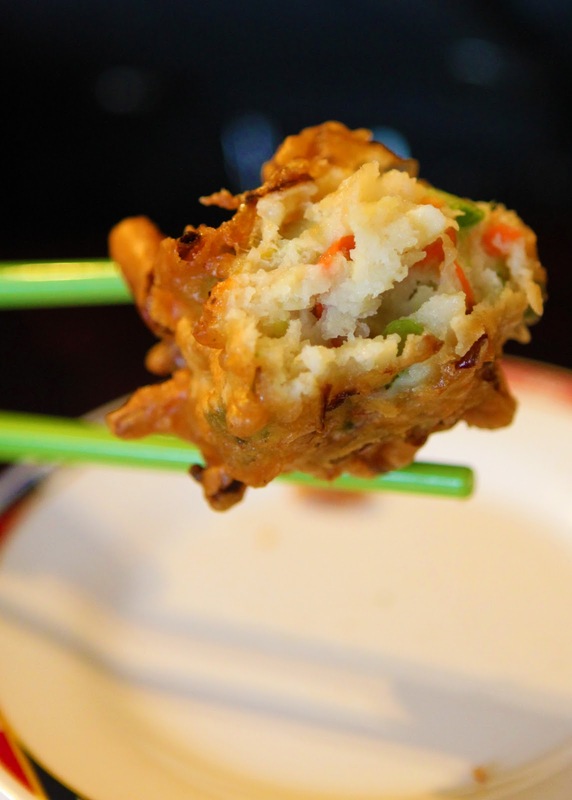 Underneath the batter, you would find carrot pieces, onion, and green onion. You cannot really see from the picture but there is vinegar chilli dipping sauce in the bowl! It was quite the experience for my taste buds. 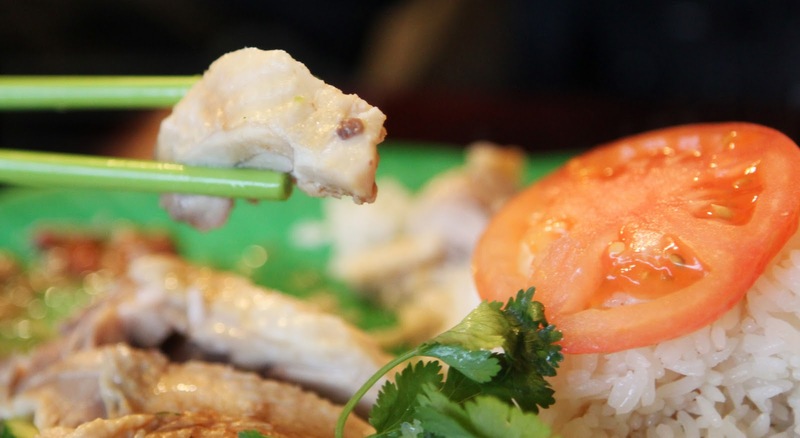 Ying really wanted to try the Hainanese Chicken rice (chicken…yuck!). 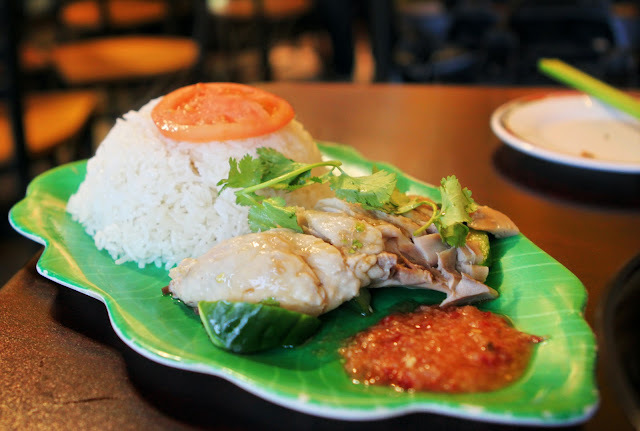 It consisted of a chicken leg (skin on) served with a sweet and spicy chili sauce and the oily Hainanese chicken rice. The rice was not as flavourful or oily as some other places, and it didn’t seem to be well-mixed as the bottom was just plain white rice. 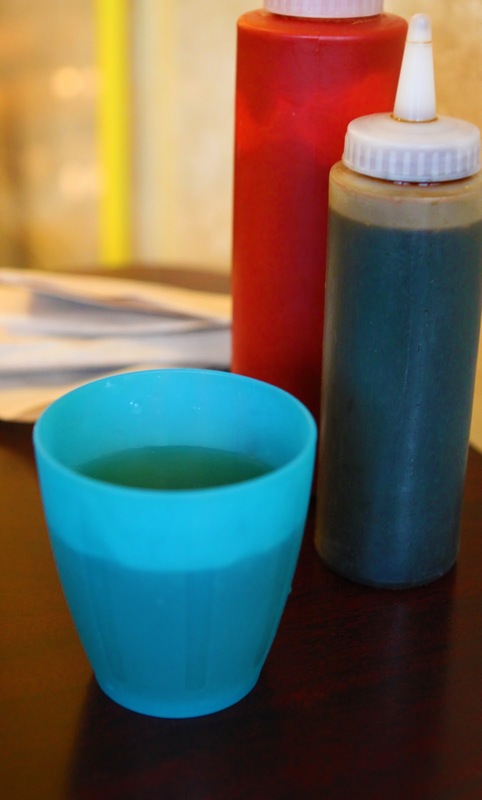 Note: this dish doesn’t come with the usual chicken broth that other places serve. Overall, Ying commented that she liked the dish and would get it again. Quite a bargain too, at just $5.75. Originally, I wanted the prawn noodle but the lady warned that it has a strong smell and it is quite spicy – my criteria for yummy in the tummy! Although I was tempted, I didn’t want to have a strong breath while talking to clients when I work my night shift. So, I got the Gado Gado, which is essentially a vegetable salad with peanut sauce dressing. 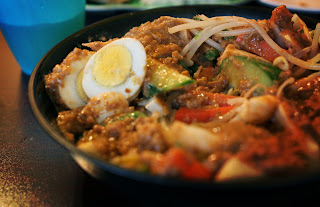 The Hawker’s Delight version includes cucumbers, carrots, bean sprouts, tofu, egg , turnip and green bean. My diet had been low in veggies for quite some time now, so this was a healthy choice for me! The portion was quite large and filling. 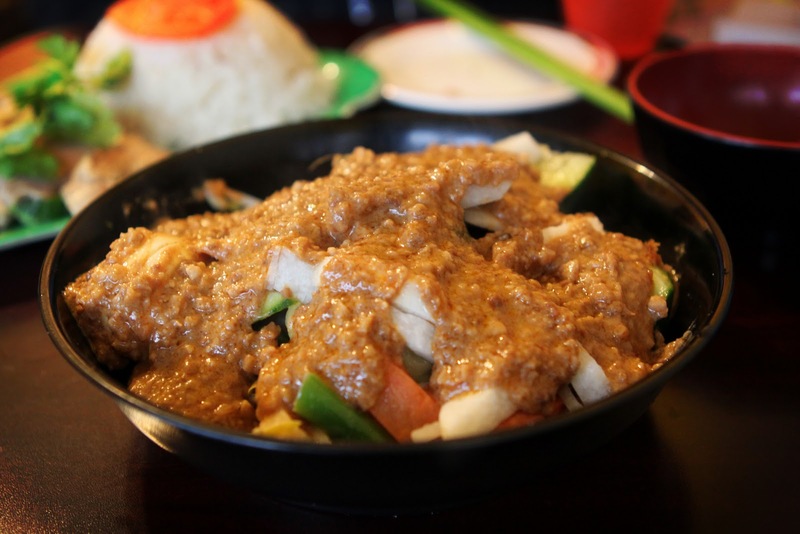 However, I found the dish a bit bland, but the peanut sauce goes well with the veggies. Overall, we enjoyed this visit and will likely return when my wallet is thin again. What a refreshing and inspiring piece of culinary photo-journalism! 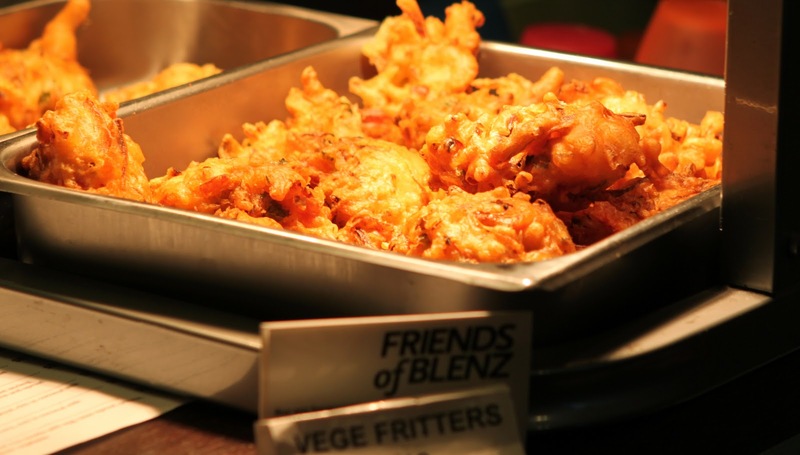 The nuanced lighting and well-taken angles in the photos perfectly accompanied the rich, flowing prose that brought the full taste of Hawkers to our tongues with a mere few words. Such a literary performance deserves a Pulitzer Prize, a Nobel Prize and a 6/49 Grand Prize!